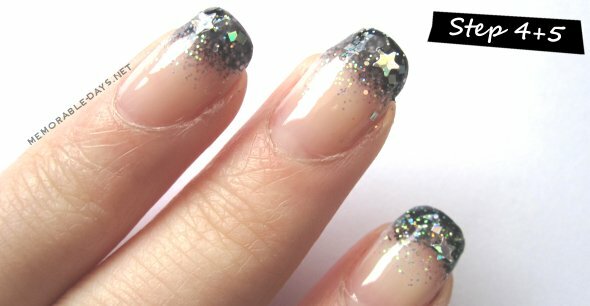 Starry Starry Night Nail Art Tutorial | Memorable Days : Beauty Blog - Korean Beauty, European, American Product Reviews. Step 1 : Apply a base coat and let this dry. Step 2 : Apply a dark blue nail polish with a sponge on the tips of your nails. See for more information my sponge nail art tutorial. I used the E.L.F #1543 Navy Blue nail polish for this step. It's a pity that it looks black =(, I wanted to have a darkish blue nail polish. Click here for a swatch. 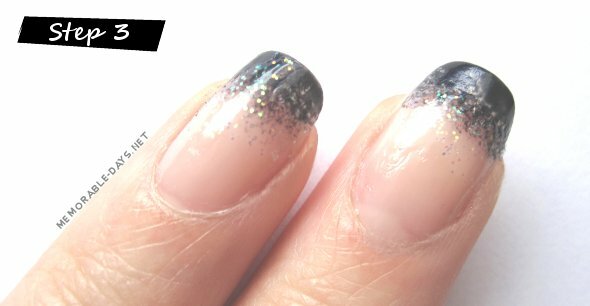 Step 3 : Apply a silver glittery nail polish on your tips. Step 4 : Use a different silver glittery nail polish. I used a nail polish with silver flakes. Step 5 : Apply a silver star on each nail and don't forget to apply a top coat afterwards. - Step 3: Multi dimension 3 in 1 nail polish with XXXL shine from Essence. aww your blog is so pretty! 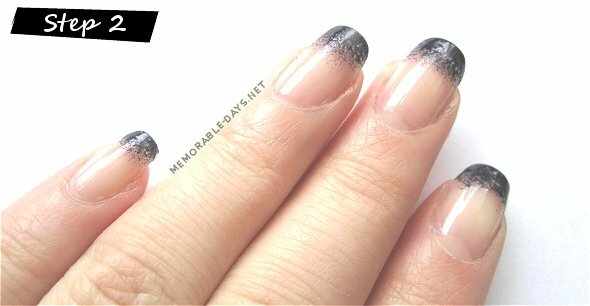 I love these nails, will give them a try one day :)! Het ziet er echt superschattig uit! This looks really pretty! I think it would have looked really nice with a dark blue polish as you said, but it still looks beautiful with this color! @Rinny, thank you rinny !! yesss, unfortunately I don't have a dark blue one x___x"